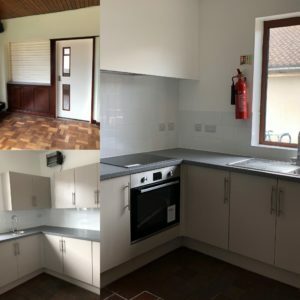 Sometimes even smaller jobs require careful management, and that was the case when the local youth centre was seeking to refurbish and upgrade its kitchen. We were brought in to provide designs and a specification for bringing the kitchen up to current Building Regulation standards; part of this involved installing a new fire shutter, and also the complete removal and safe disposal of an asbestos Artex ceiling. For the youth centre trustees, it was important to keep disruption to a minimum so that regular hirers could continue to use the centre. Careful management of the contractors working on site to carry out the building improvement and kitchen installation works was key, and any issues or questions were swiftly dealt with. 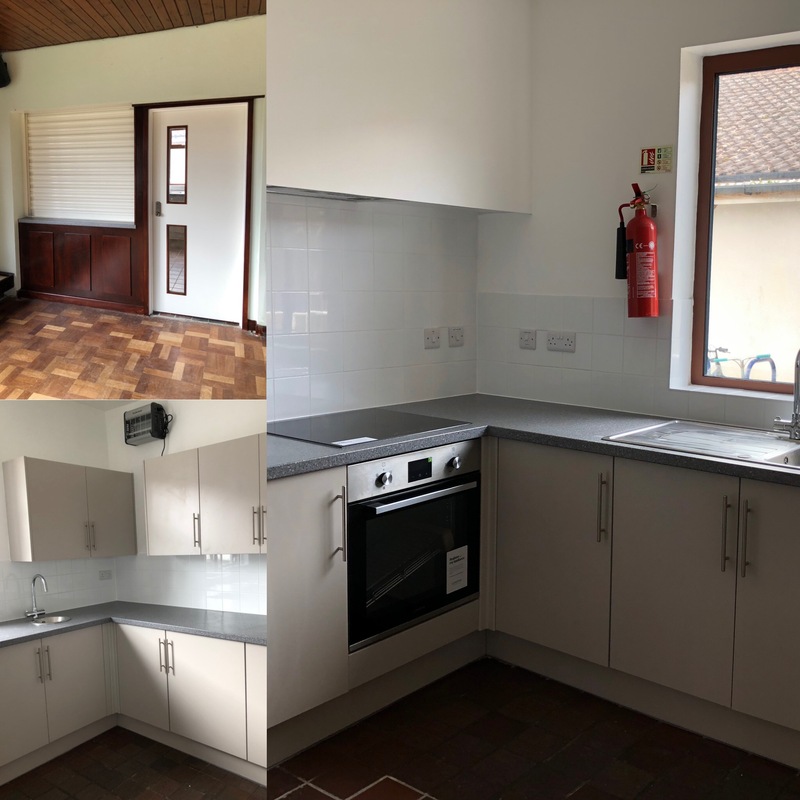 Funded by a grant from the Aylesbury Vale District Council New Homes Bonus, the youth centre’s kitchen is now fully operational again. Feedback so far from hirers and organisers has been very positive. Our team was delighted to hear last week that we have been shortlisted for a Local Authority Building Control (LABC) Central Region Building Excellence Award 2019. We are hopeful that our new build sports hall and six classroom construction project at Henlow Academy will achieve success in the ‘Best Educational Building’ category. The project team including Central Bedfordshire Council, Henlow Academy, Cox Clifford Partnership, BSD Consulting Engineers, Marstan BDB and Borras Construction are very pleased that the project has been nominated. This is our eighth consecutive year of being shortlisted for an Award, and we are all looking forward to attending the black tie Awards Ceremony in Milton Keynes in April. Regional category winners are put forward to the National LABC Awards. 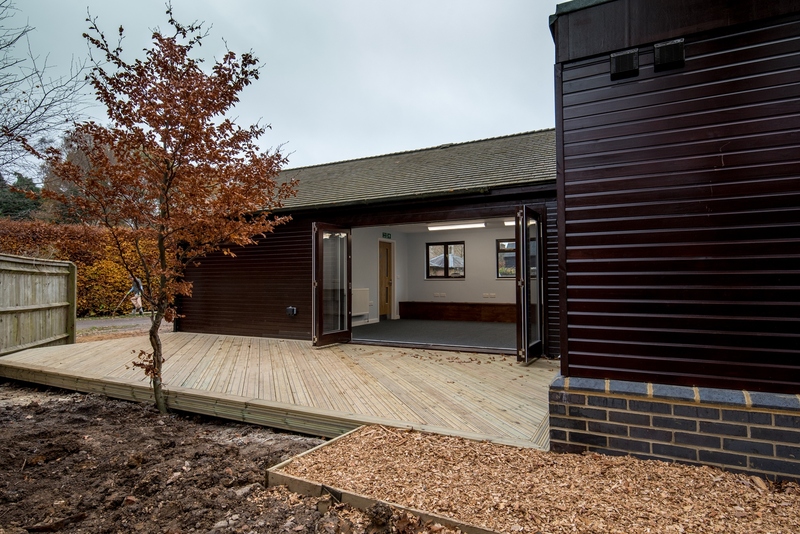 This entry was posted in Building Excellence Awards, CBC, Central Bedfordshire Council, classroom, construction, contract administration, design, development, Henlow Academy, LABC, planning consent, planning permission, project management, School Construction, school extension, Sports Hall, Uncategorized on February 12, 2019 by admin. We were pleased to hear that South Oxfordshire District Council had granted planning permission to enable a dwelling in the village of Stadhampton to be extended. 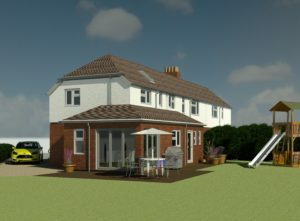 The single storey extension will add a downstairs cloakroom and porch; planning permission was required because of its location, extending outwards from the front elevation. Although modest in scale, this is a positive change to the house that will help the family enormously, as they have young children. 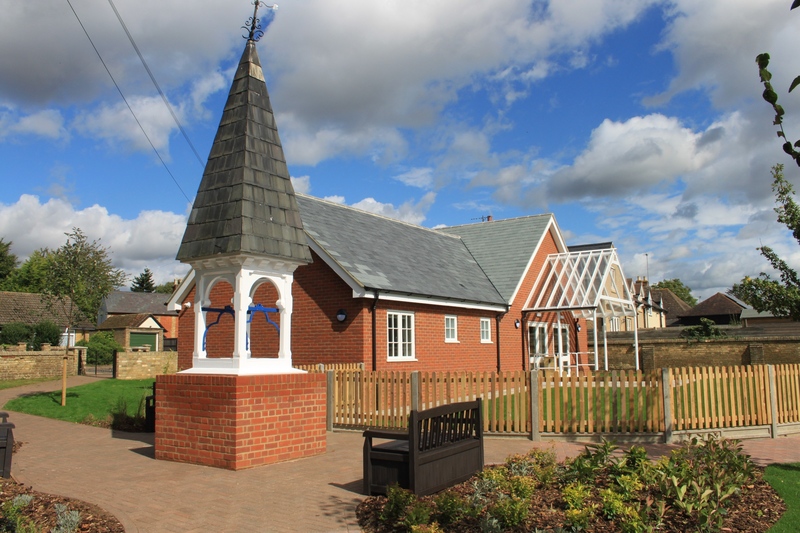 We also secured a ‘Build Over’ agreement from Thames Water, and made the building regulations application. We can advise on extension and reconfiguration projects of most sizes – do get in touch if you would like advice on how to improve and extend your home. We have recently secured Householder planning permission for a new single storey kitchen extension at a house in Milton Keynes. Because of poor design, their existing kitchen was isolated from the rest of the house and garden, and could be cold in winter. The owner felt that their 1990s house could benefit from a better ground floor layout, to create a more open-plan and family-friendly kitchen and relaxation space. We agreed, and suggested demolishing a rear section of the original dwelling to replace it with an extension which stretches across the width of the house. 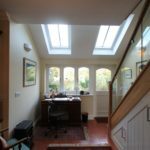 Our design includes a feature glazed roof lantern to allow lots of natural light into the space, and bi-folding doors to make the most of the garden. 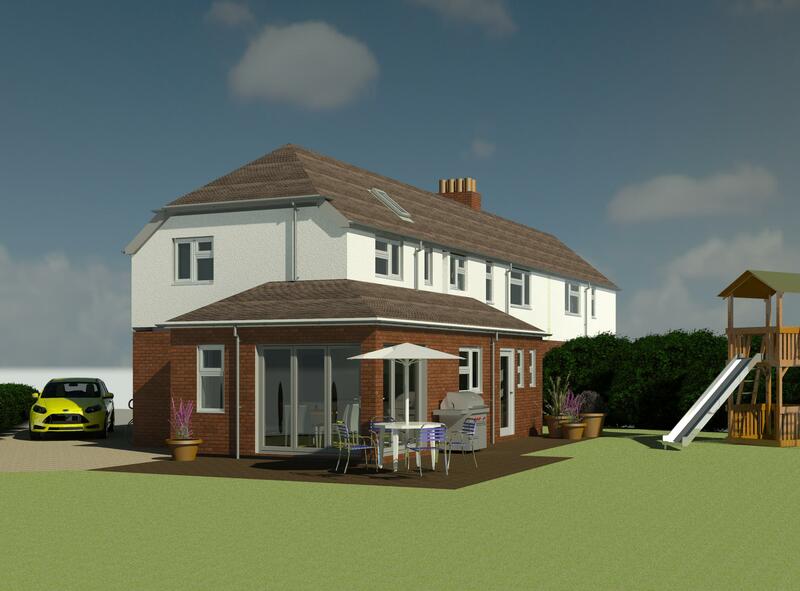 As you can see from the 3D visualisation, when completed not just the internal layout will have been improved, but also the appearance of the dwelling when viewed from the garden. This entry was posted in Buckinghamshire, design, extension, House Extension, Kitchen extension, Residential, Uncategorized on August 22, 2018 by admin. 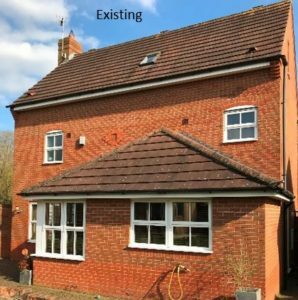 We have this week received confirmation from South Oxfordshire District Council that planners have granted permission for the construction of a larger home extension under their Prior Notification scheme. 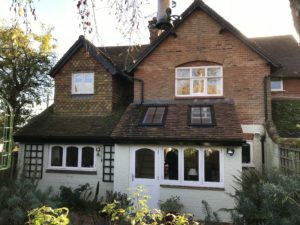 Normally, Permitted Development only allows extensions beyond the rear wall of the original dwelling by up to four metres for a detached house, or three metres in any other case. 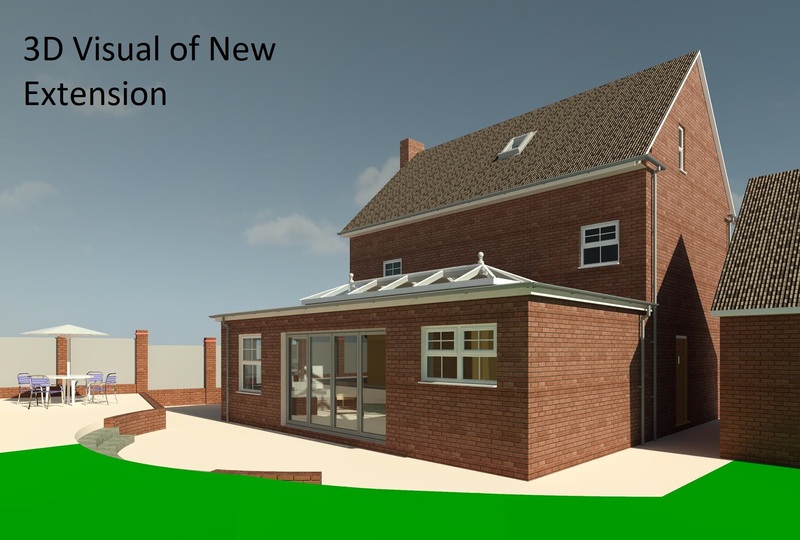 Temporary relaxation of the Permitted Development rules (from May 2013 to May 2019) applies where the proposed works are limited to a single storey rear extension of a depth between four metres and eight metres for a detached dwelling, or between three metres and six metres for any other type of house (unless you are in a Conservation Area or AONB). A major advantage of using this service is that it is free of charge, and it also takes a little less time than a Householder planning application (six weeks as opposed to eight). A simple form is completed, and the Local Authority then notifies close neighbours that adjoin the property to give them a chance to comment on the proposal. If there are no objections, or planners consider that there is no effect upon the amenity of neighbours, then the application will be given permission. Currently, to benefit from these permitted development rights, the extension must be completed on or before 30 May 2019. For further advice about planning or prior notification applications, do get in touch. 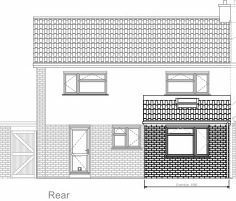 We have recently secured planning permission from South Oxfordshire District Council for a house extension project in the market town of Thame. Our client has recently purchased the semi-detached dwelling which is in need of considerable updating and renovation work, both inside and out. 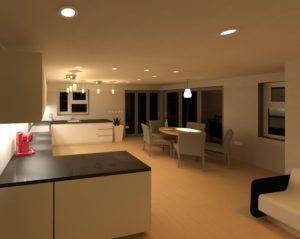 The aspiration is to create an extra bedroom and a larger, lighter modern kitchen and living space. Our design involves removing a small existing single storey extension, and replacing it with a ‘wrap around’ part single and part two storey extension. This not only delivers the required extra bedroom and stylish ground floor living space, but also improves the appearance of the house from the rear garden. Together with a more general renovation of the dwelling, the extension will transform it into a stunning family home. Our client is going to project manage the build himself, and we look forward with anticipation to seeing the project when completed later this year. 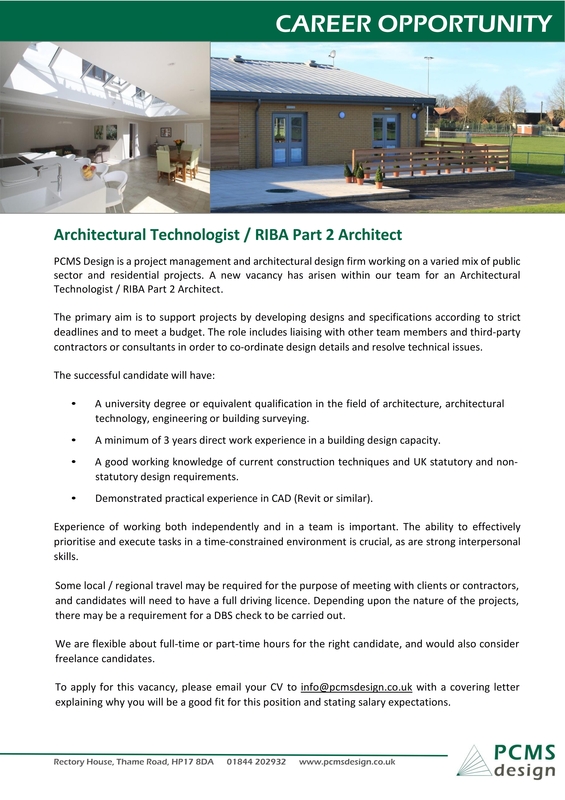 This entry was posted in design, development, Oxfordshire, planning consent, planning permission, renovation, South Oxfordshire District Council, Uncategorized on April 10, 2018 by admin. We submitted a full planning application last week to Aylesbury Vale District Council for a new sports and community pavilion in Haddenham, Buckinghamshire. The village is currently a hive of activity, as construction is underway on a couple of residential developments to deliver in the region of 500 new dwellings over the next few years. Section 106 money from the developers is helping to finance a number of community infrastructure projects, which includes the provision of new sports and community facilities. 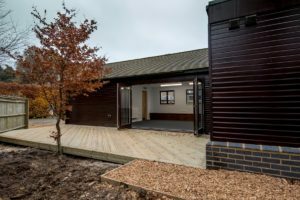 Haddenham Parish Council appointed us to design and project manage the construction of a pavilion building next to new football pitches. Our design for the building has taken into account the proximity of new houses, in keeping a low eaves height to the front to reduce the massing of the building. The part green sedum / part standing seam zinc roof has PV panels incorporated into the design. There’s a central glazed lobby space which splits the wings of the building into social and sports. Two changing rooms with showers are included, together with a large function space for indoor sports and activities. The principle of the pavilion development was established at outline planning stage, but we are hopeful that full planning permission will be granted shortly by the Local Authority so that construction can begin this summer. This entry was posted in AVDC, Aylesbury Vale District Council, pavilion, planning consent, planning permission, Uncategorized on March 27, 2018 by admin. We are delighted to announce that PCMS Design has been shortlisted in the 2018 Local Authority Building Control (LABC) Central Region Building Excellence Awards. We have been nominated in two categories this year – Best Public Service Building for a project to refurbish and extend the National Trust Estate Office at Ashridge Park, and Best Educational Building for our design and construction management of the new pre-school Building at Clophill St Mary’s School in Bedfordshire. This is our seventh consecutive year of receiving a nomination and our team is really looking forward to attending the black tie Awards Ceremony in Milton Keynes on Friday 25th May. Category winners are put forward to the National LABC Awards ceremony in November. 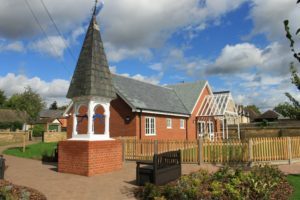 This entry was posted in Building Excellence Awards, LABC, Pre-School, Uncategorized on March 19, 2018 by admin. 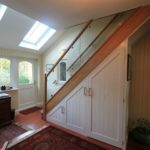 A client in Buckinghamshire approached us to find out how they could make changes and improvements to their home, and in particular to the staircase which was located within a dark study at the rear of the house. 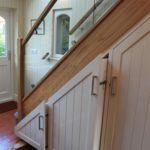 Due to the age of the property there was a very steep and narrow winder stair which was becoming harder to use due to reduced mobility in the client. The design brief was to create a small extension which was not only sympathetic to the surroundings, but also enabled a straight staircase at the correct pitch to be constructed. Within the design, it was requested to gain as much light as possible, due to the North facing aspect. 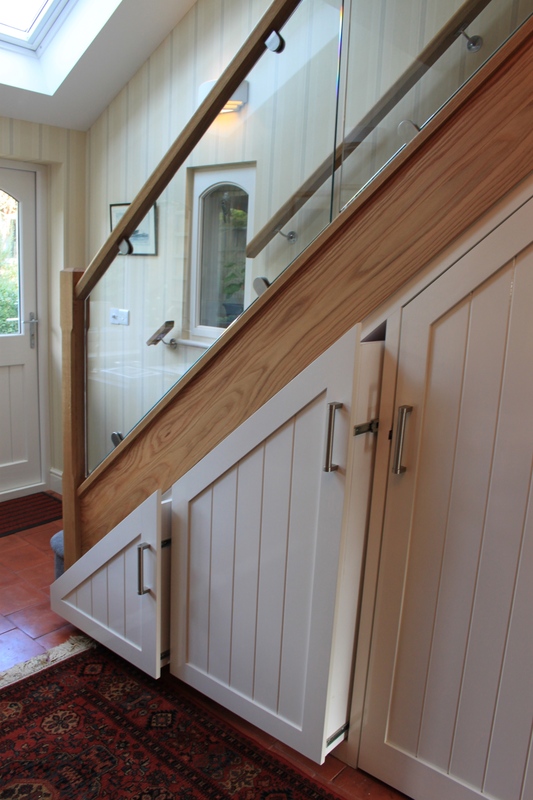 We designed a modest 6.5m2 extension which included a level access to the garden by the introduction of a ramp. 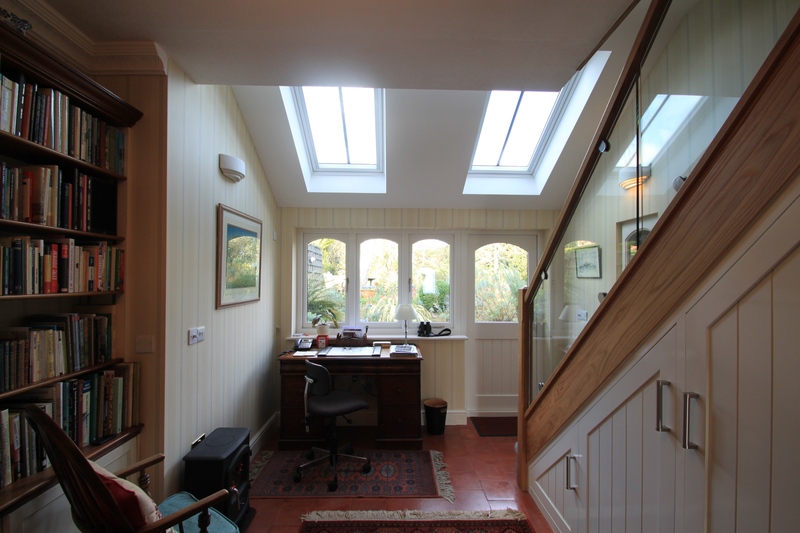 To maximise the light to the study area, we introduced two Velux conservation grade rooflights. The effect of this has turned a dark area of the house into a bright and welcoming space. The staircase is constructed of oak and has a glass balustrade, again helping to create a sense of space and light. 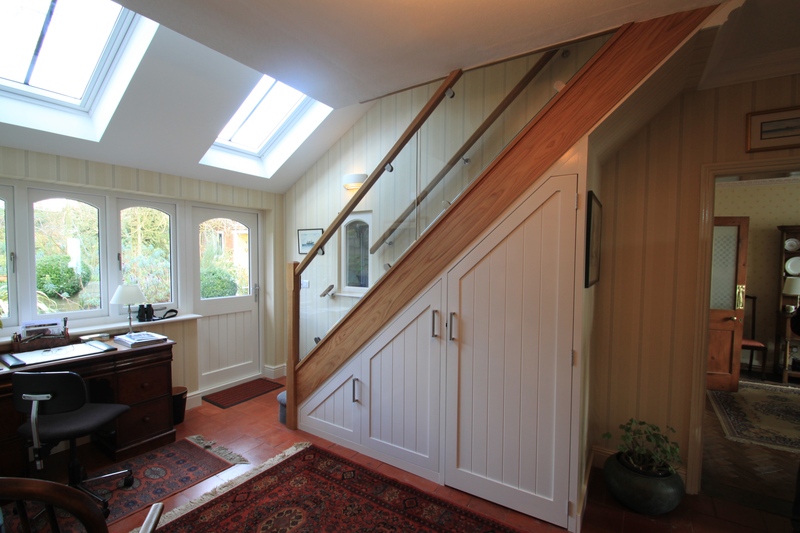 The space beneath the stairs has been turned into useful storage with two sliding drawers and a cupboard. The external design carefully respects the 19th century rear elevation (the house was originally built as a pub in 1896), using reclaimed roof tiles and bricks to match the existing and window and door details which echo those of the original house.